DotA hero guide authors have been given Dota 2 beta keys by PlayDota.com. 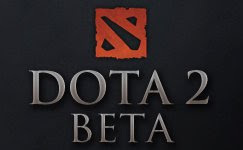 All authors with highly rated guides (7.0 and above) have been given a Dota 2 beta key. "Spotlighted" authors have been given 2 Dota 2 keys each. If you have not contributed much, you can join the Dota 2 beta key giveaways.